Jeremy has been nominated for a SAG Award! 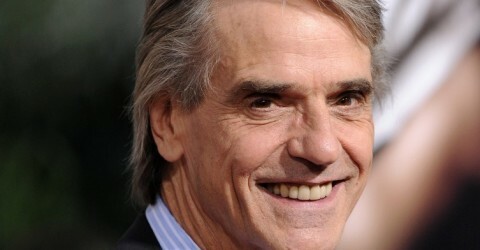 Jeremy Irons nominated for Golden Globe award! Golden Globe nominations announced – Georgia O’Keeffe receives 3 nominations! BEVERLY HILLS, Calif. — The 57th annual Golden Globe nominations for best actor in a miniseries or TV movie have been announced in Beverly Hills, Calif., by the Hollywood Foreign Press Association. The category’s five nominees announced Tuesday morning included: Kevin Bacon, “Taking Chance,” HBO; Kenneth Branagh, “Wallender,” PBS; Chiwetel Ejiofor, “Endgame,” PBS; Brendan Gleeson, “Into the Storm,” HBO; Jeremy Irons, “Georgia O’Keeffe,” Lifetime. The Golden Globes, Hollywood’s second-biggest film honors after the Oscars, will be presented Jan. 17 at the Beverly Hilton Hotel, televised live by NBC and hosted by comic actor Ricky Gervais. When Allen realized it was for the Golden Globes and for ‘‘Georgia O’Keefe,’’ she had several reactions. ‘‘First I was so very pleased Jeremy [Irons, her co-star] was also nominated and was so pleased for my producing partners on this project that we were recognized for something we all believed in so much. Words That Burn – How to read poetry and why. —You look away and your lip is curled? ‘Tis mine,—can I let it fall? But suppose she says,—Never mind that youth! The carol concert is the highlight of Breast Cancer Care’s Christmas celebrations, and for one year only this December, we are delighted to be taking this magical event to St Paul’s Cathedral, the UK’s most prestigious and well known Cathedral. Holding upwards of 2,000 people, this could be the single biggest event Breast Cancer Care has ever held. So show your support for people affected by breast cancer this Christmas by joining us at this sensational venue for one of London’s best charity concerts. The service will also include a professional choir filling St Paul’s with breathtaking carols and Swarovski’s world famous sparkle aplenty – this night is not to be missed! We’re also pleased to announce that the wonderful Faryl Smith will be performing at the event. For guests wishing to continue the Christmas merriment, we extend the invitation to attend an intimate Champagne Supper after the Carols, for 250 guests in The Crypt below the Cathedral floor. 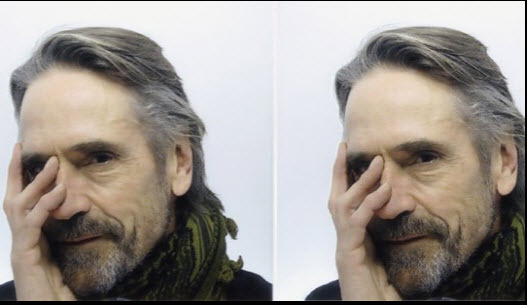 Jeremy Irons has had a long career on stage and screen. His theatrical work includes the Royal Shakespeare Company, National Theatre and Broadway. His film and TV work includes Brideshead Revisited, The Mission, Reversal of Fortune and The Lion King. What she’s got to be able to do is to emit what she’s feeling – which she’s used to doing to a camera which is about two feet away from her – to an audience of however many thousand so that they know what she’s feeling and thinking in the same way that the camera does. She’s also got to make sure that her voice is supported – you have to be heard by more people. But she’s a good actress and so that’s the important thing – you can learn all the other things if you have a clear and honest way of playing. But it’ll be a learning curve for her, and I can’t wait to see it. I think it’s very brave of her. When you’re out of your metier you get a bit nervous – that’s understandable – but if she’s any good, I’m sure within a week she’ll find her feet. I think it’s a very good thing – this cross-fertilisation. In theatre we need stars to get the audiences in, and people will go and see her – a very beautiful and talented lady. ACTRESS Vanessa Redgrave spoke movingly of the loss of her daughter Natasha Richardson at a concert for The Child Bereavement Charity, supported by this year’s Bucks Free Press Christmas Appeal. She appeared alongside recitals and performances from actor Jeremy Irons, broadcaster Alan Titchmarsh and singer Eddi Reader at the fundraising show at Holy Trinity church in Brompton, West London. Mrs Redgrave spoke of the loss of her daughter, the wife of actor Liam Neeson, who died following a March skiing accident in Quebec, France. The 72-year-old read Death is Nothing at All by Canon Henry Scott-Holland, which contains the lines: “Why should I be out of mind / Because I am out of sight?”. She told the candle-lit audience: “I was in two minds whether to read it. She praised the “wonderful” event and revealed Princes Charles had written her a “wonderful letter shortly after Tasha died”. We are calling on readers to donate to the West Wycombe charity, which runs local groups for bereaved parents and children and provides nationwide training and support. Jeremy Irons read Captain R.J Armes’s A Christmas Truce, about the brief ending of First World War hostilities in December 1914. He told The Bucks Free Press: “There but for the grace of God go I. “I haven’t lost a child and I could think of nothing worse. I was sitting there tonight thinking my boy is in Costa Rica and I hope he’s all right. Alan Titchmarsh brought laughs with his recital of short story “Albert and the Liner” by Keith Waterhouse, who passed away this year. Eddi Reader, former singer with Fairground Attraction, said the song she performed, Dragonflies, was about humans cope with mortality. The evening was opened by the Cantate Choir, which entered and left the church by candlelight and in song. The programme featured artwork by cartoonist Gerald Scarfe. Prince William, the charity’s Royal Patron, wrote: “The loss of a parent can be devastating and utterly bewildering for a child – and the loss of a child equally overwhelming for a parent or sibling.